Now that the price of gasoline has dropped by half, down to a seven year low, the clamor against the recent cost increases has abated to barely a whisper. America has parked the episode in a back lot, with all the public concerns and private suspicions locked in the trunk, out of sight and mind. Congress has curtailed discussions of how to mitigate and forestall future occurrences. All will be calm until the next crisis hits and the panic cycle begins again. It’s been the pattern throughout history whenever America rode the g as price rollercoaster, including the very first time that rising costs ignited national furor. 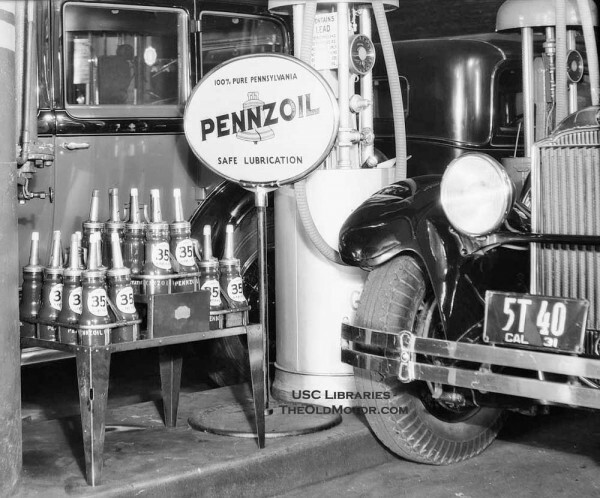 That historic crisis began in the fall of 1915, when the various oil companies that were once part of the monolithic Standard Oil slowly began raising the price of gasoline, a penny at a time. 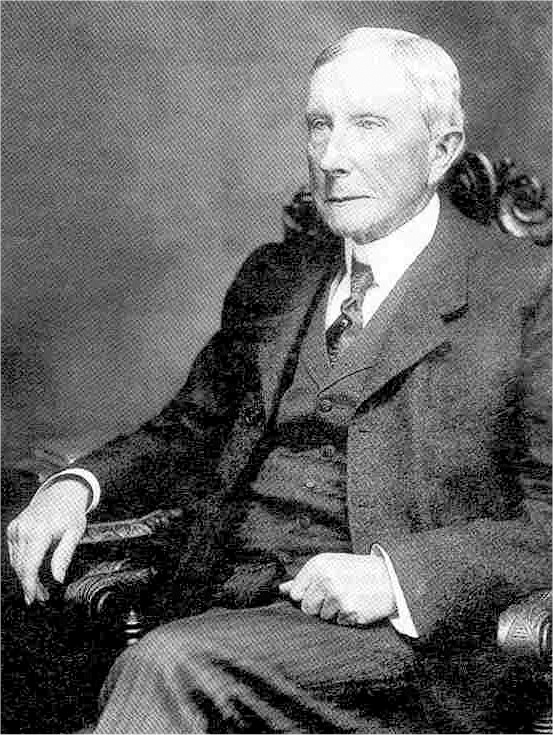 Those companies had been formed in 1911, when the U.S. Supreme Court unanimously upheld a federal appeals court ruling that the Standard Oil trust – John D. Rockefeller’s corporate behemoth that at one point controlled more than 90% of the U.S. oil market — was indeed a monopoly that illegally restrained trade, and ordered that it be broken into 34 separate companies. However, the government allowed Rockefeller and the rest of the large stockholders to retain fractional shares in all of the new companies formed. And because of that stock structure, the companies would remain under the command of the coterie of monopolists who had controlled the trust, giving them the power to set the gasoline prices for all the Standards and resulting in no incentive for competition, as the anti-trust action had intended. The breakup of Standard Oil came at a time of transition for oil companies in general. Kerosene, one of the major byproducts of oil refining, was being phased out of domestic use by the electric light bulb. Gasoline, on the other hand, was for years considered a byproduct of insignificant value, and was sold primarily as a cleaning agent for removing grease from clothing – and as a treatment for head lice. But the rise of the automobile, spurred by Henry Ford’s revolutionary assembly line approach to mass production, putting a M odel T within reach of the average wage earner, brought a phenomenal new demand for gasoline, to fuel the internal combustion engines that drove the ever-expanding number of cars in America. In 1900, a total of 4,192 cars rolled off the line. By 1915, industry volume had leapt to 895,930 manufactured, along with 74,000 trucks, and the total number on the road was approaching 3 million. The automobile was no longer a novelty but a necessity. And gasoline became the perfect product, constantly consumed by totally dependent drivers. Gasoline was not the only source of automotive power in the early 20th century. A number of small concerns marketed battery-driven cars, such as those of Anderson Electric in Detroit and Columbia Electric in Hartford, Connecticut. 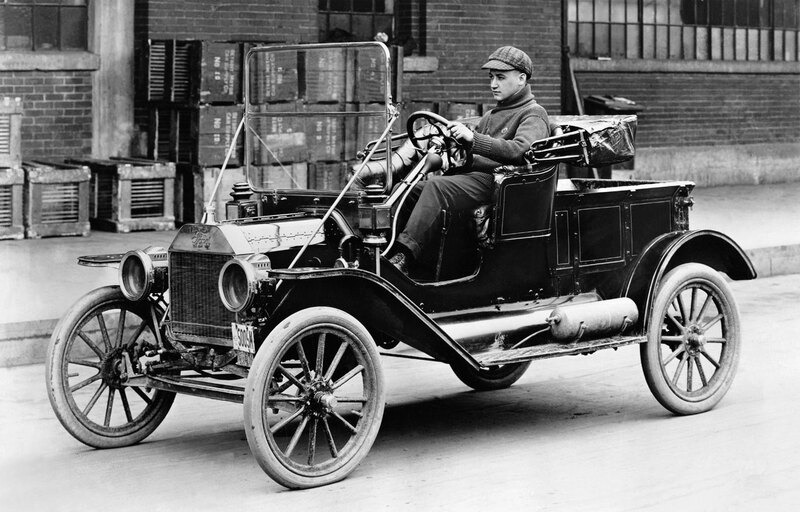 In the 1910s, the Woods Motor Company of Chicago offered the Woods Dual-Power hybrid automobile that could run on batteries alone, gas alone, or a combination of the two. The high costs of building the electric and hybrid machines, however, and the accordingly high prices charged consumers, limited the cars affordability, and the cheaper gas-fueled autos eventually drove el ectrics into oblivion. In August 1915, the average price of a gallon of gas nationwide was 12.5 cents. By early 1916, the price of a gallon climbed to 21.56 cents and the increases rolled upward as the year progressed. The reasons given by the oil companies for the necessity of continuously raising the cost were myriad – “It’s not easy for the layman to understand,” said an oil company spokesman condescendingly. But all explanations revolved around a single theme: scarcity. 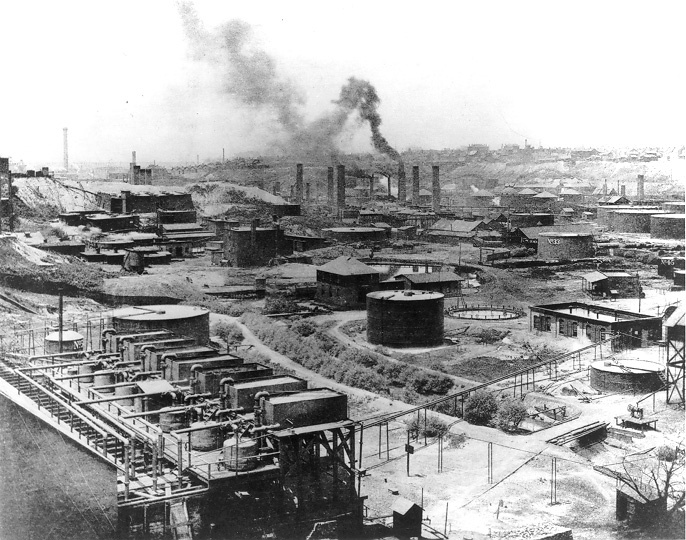 World War I, then brutally rolling across Europe, had cut off access to the products of German and Austrian refineries, thus creating an extraordinary demand for American gas. “The motor cars and air fleets of the belligerent powers use an immense amount of gasoline which must be had at any cost and, accordingly, almost any price can be obtained,” said a prominent New York oil man. “Prices at home just rise to meet the situation.” Concurrently, a significant segment of the European market for the other byproducts of crude oil beyond gasoline – kerosene, lubricating oils, naptha and more – was no longer open to trade, causing overproduction, the loss of profits on which “must be borne in large part by users of gasoline,” said an oil company spokesman. And a host of other forces were claimed by the oil companies to be contributing to the shortage. Gas-producing oil pumped from the Cushing fields in Oklahoma had reportedly begun to dwindle, falling to 50 percent of its former output. Then there was the Mexican revolution, which “made it impossible to get oil out of that country in any quantity for the last two or three years,” an oil spokesman said. Another factor, the companies said, were landslides in the Panama Canal, which made the transport of oil in tank steamers through the short waterway impossible. Oil from California now had to come to New York primarily by rail, with higher transportation costs resulting in higher pump prices. The oil companies also pointed to the dissolution of the Standard Oil trust as being partly responsible for the rising costs. Previously, they contended, Standard maintained big reserves of oil against the possibility of shortage, but since the breakup into smaller companies “none of them has continued this policy to the extent which was formerly the case.” One industry observer predicted that the country’s oil supply, both in storage and underground, would be depleted by 1943. Despite the alleged scarcity, the nation’s gas stations never stopped pumping, with seemingly enough of a supply to meet the ever increasing demand as autos continued to roll off the assembly line in prodigious numbers. Early in the price crisis, when asked if gas would reach 30 cents a gallon, a Standard spokesman replied, “That’s easy.” And by April 1916, the garage price of gasoline indeed had soared to 30 cents, with 40 cents a gallon anticipated before the rise stopped. no rents could you decry. 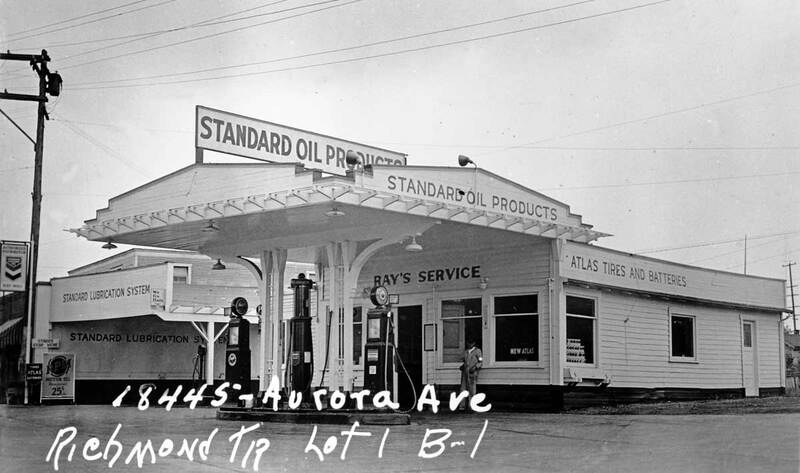 The Pittsburgh Automobile Dealers’ Association agreed to buy no more gas from the Standard Oil Company until its prices were justified to their satisfaction. Others saw the increase as pure profiteering, with the oil companies using the excuse of war-time shortages to drive up consumer costs — and make a killing as government contractors. The Standard Oil companies offered to supply gasoline for the U.S. government at the rate of 31.5 cents a gallon, nearly 200 percent higher than the previous year. Gasoline goes up for the eternal reason that people will take advantage of each other as and when they can. The only limit to what the seller will ask is what the buyer will pay, and when the seller is able to raise his price and increase his profit the quarrel is joined. That there are economic reasons for the rise in the cost of the necessary social fluid dispensed at the roadside garage need not be denied. But that is only to say that the seller, by reasons of new conditions, finds himself in a position of advantage. The public and private sectors fervently searched for ways to boost gas production, while at the same time break free from the stranglehold on prices at the hands of Standard Oil. The U.S. Bureau of Mines had begun investigations into new methods of production that could squeeze even more gasoline out of a barrel of crude, thereby reducing manufacturing costs. Dr. W.F. 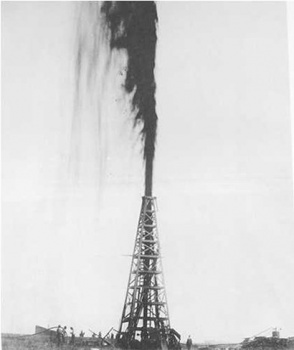 Rittman, the bureau’s petroleum expert, discovered an improved process of “cracking” oil under extreme heat, by which 60 percent more gasoline could be extracted from each barrel, all at the considerably cheaper price of six cents a gallon for gas — manufactured from stove oil distillate that cost only 2 cents per gallon. Plans were undertaken to install the new process at 60 refineries nationwide. Others came forward with claims of discovering new methods of producing synthetic gasoline; most, however, turned out to be merely wrongheaded science or outright scams. Morton de Waltoff of Brooklyn announced that, when experimenting with methods of producing carbolic acid, he had hit upon a new way of making gasoline at a cost of only half a cent a gallon. He kept his discovery a secret, because, as he explained, “the material from which [the gasoline] was obtained existed in inexhaustible quantities in this country and was now generally regarded as of no value.” By not divulging the source, he prevented the lands of being “bought up by speculators.” Just as de Waltoff’s lawyers were preparing to file a patent on his discovery, he withdrew his claim, and his suspect process was lost to history. Meanwhile, another New York inventor named Louis Enricht claimed he had created a cheap substance that, added to ordinary tap water, would be a substitute for gasoline. At a press conference in Farmingdale, Long Island, he demonstrated his invention, pouring a greenish liquid into a bucket of water and pouring it into the gas tank of an auto. The car started, but emitted a strong smell of almonds – from the arsenic he had added to the formula. Speculation was that his mixture contained mainly acetone and liquid acetylene, which would run an engine for just a short time before completely destroying it. Nevertheless, Enricht attracted a million dollars’ worth of investors, all of whom he bilked. His scamming eventually ended with a seven year jail sentence for grand larceny. The onslaught of resolutions and bills continued through the first half of 1916. The Randall bill called for government ownership of oil wells and refineries. The Howard bill would enact an embargo on the exportation of petroleum. The Stevenson bill delegated to the Federal Trade Commission authority to regulate the price of petroleum. The Bailey bill authorized the Secretary of the Interior to sink wells on public lands and market the product, giving preference to independent refiners “to prevent arbitrary increases in price.” Talk of placing a tax on all gasoline shipped overseas abounded. 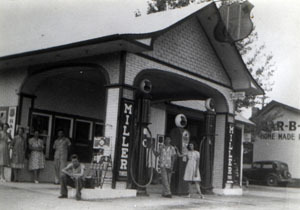 And a resolution was introduced calling for the creation of a Federal Bureau of Oil Products to collect information and statistics regarding the production of oil and gasoline, with an eye toward determining whether the oil companies’ justification for the price increases was supportable or spurious. Coincidentally, just as th e federal investigations were proceeding and the evidence was mounting, officials of the Standard companies announced that the worst had passed in the skyrocketing price of gasoline and “a reduction was to be expected.” The officials were uncertain about the exact date on which the price would begin to be cut, but they assured the public it was forthcoming, due in part to two factors. First, they claimed, the scientists at the Standard companies had been working “harder than ever of late, to get more gasoline from crude oil, and they have succeeded.” Second, they contended, the recent discovery of huge oil fields in Kansas would add considerably to the volume of production – although geologists had known the potential of such fertile fields since the first exploratory well was drilled in 1892. By the fall of 1916, the Standard companies had indeed reduced the price of gasoline at the pump, eventually falling to a national average of 22 cents a gallon; by 1917 prices would level off at 20 cents per gallon. The onslaught of congressional bills and resolutions concomitantly declined. Plans of placing a tax on gasoline were abandoned. Newspaper editorials moved on to new issues. And the profits from the whole affair were pocketed by the directors of the Standard companies. At the close of stock market trading on September 12, 1916, advances in Standard Oil issues added more than $32,000,000 to the aggregate value of the companies — and $8,028,000 to the value of John D. Rockefeller’s holdings. The market value of all the Standard Oil subsidiaries stood at $2,027,516,000, which was nearly double the amount of the net debt of the federal government. America’s outrage receded with the falling prices, the memory of the turmoil fading into the shadows of the past until the next gasoline crisis hit, the furor was brought to the forefront – and history repeated itself.